A casual bag "Boledo" of a beautiful and soft feminine form that the curve draws out. Boledo skillfully used soft curves is also famous as the world's first zipper bag. It has excellent practicality and plenty of luggage. Color is cute Vivid pink "Rose azare"! 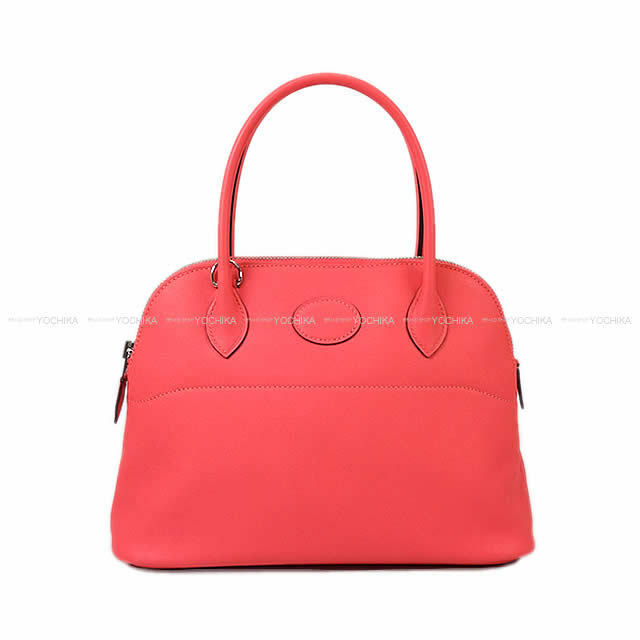 It is a pink color that attracts eyes who joined the popular color since its appearance! Mini type is shoulder strap attachment so shawl shoulder is also very convenient. You can use it for both casual and formal. The material is a swift Swift with a matt and soft touch without the surface irregularities. It is the appeal of this leather that a deep taste comes out while using it. Currently the number of production is extremely low Boledo Mini so please do buy it on this occasion!